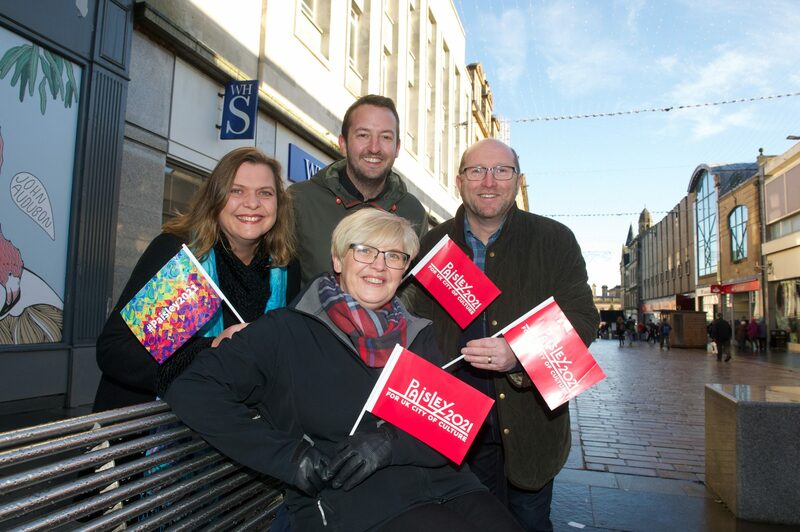 Paisley Community Trust are delighted to announce Baker Street Paisley has been announced on the shortlist of Scotland’s Towns: FutureTown design competition. Organised by Scotland’s Towns Partnership (STP), the national agency and ‘go to’ body for towns north of the border, shortlisted entries will go on public display at Paisley Town Hall on November 21st as part of the annual Scotland’s Towns conference. 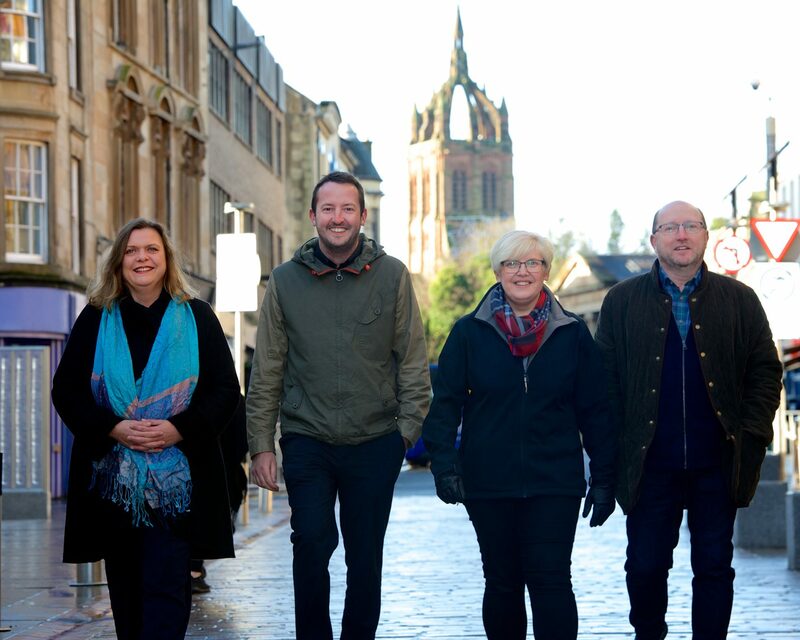 Paisley Community Trust recently revealed their plans and vision for a new cultural and creative quarter in Paisley on the site to the rear of the old Arnott’s department store. An unkempt wasteland currently greets 7 million passenger journeys passing through the town by rail. The potential to transform this site and in doing so the perception of the town is obvious and desperately needed. Plans feature an amazing Performing Arts/ Film Theatre and Performance Academy designed by award winning Architects Stallan-Brand. In 1978, Paisley born singer-song writer Gerry Rafferty launched his greatest hit to date; ‘BAKER STREET’. No other name provides the connection to Paisley’s rich performing arts heritage and acts as a location name for the proposed development. 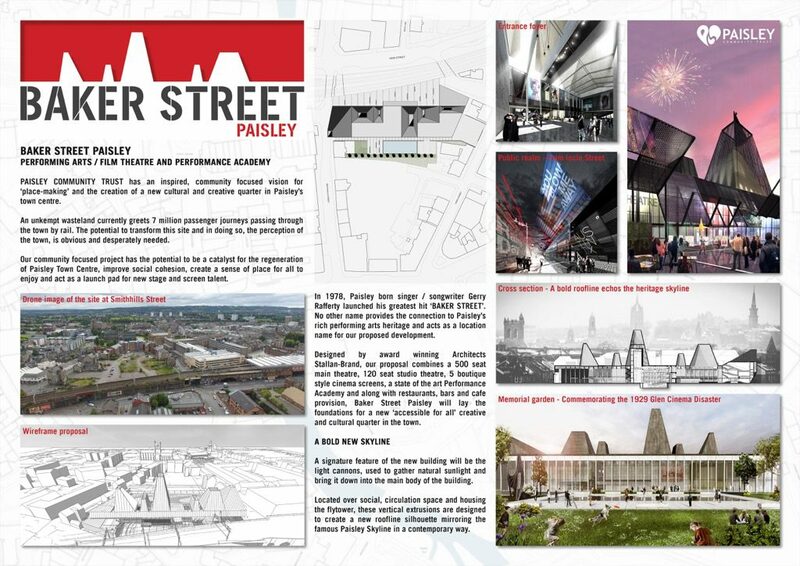 Baker Street Paisley is a COMMUNITY led proposal with potential to be a catalyst for the regeneration of Paisley Town Centre, improve social cohesion and create a sense of place for all to enjoy. It can become more than just a new building for Paisley and will become a transformational place and destination for the arts, culture, entertainment and education. “We’re really pleased to be shortlisted and intend to go all out to WIN. This competition is a fantastic opportunity to set Paisley off on WINNING ways, to continue the feel-good factor and for Paisley to get into the WINNING habit. The Spree for All is gearing up to build on its debut last year and is returning even bigger and better than ever. The fringe event for Paisley’s national arts festival The Spree promises a packed programme of live music, poetry readings, comedy and more. The launch comes as part of the push towards Paisley’s bid to be named UK City of Culture 2021. Paolo Nutini will headline this year’s main Spree event with a sold out homecoming gig at Paisley Abbey, while indie rock band Frightened Rabbit and singer songwriter Dougie MacLean are also part of the line up. The Spree for All, organised by local music charity LNP Promotions and sponsored by Paisley First, sees local bars, cafés and restaurants host a string of live gigs across the town from 14-22 October. There will be a Family Zone in the High Street on both Saturdays during the event with music, magicians, balloon artists and face painters. Interactive theatre company Mischief La-Bas will also be adding to the fun with their wacky performances. LNP co-founder Tommy McGrory said: “They are street artists who will perform as The Elvis Cleaning Company and also perform a pedestrian Grand Prix. They dress up in moustaches and goggles with plastic cars, it’s great fun. Music lovers should also check out the Burger & Keg Live Tent in Abbey Close. The 150-capacity venue will host top names including Paisley’s Tom Urie, who will appear alongside comic Janey Godley on Wednesday 18 October. Other venues include the Cave, the Gantry, The Anchor Bar, the Bull Inn, Hamishes Hoose, Zambretto, The Old Swan Inn and the Wee Howff. The Abbey Bar, Bar Pre and the Bungalow will also host events, while CC’s features the H-Arts Drama and Performance groups and comedy from Gary Little & friends on Friday October 13, as well as poetry readings. The event also features also a youth stage at Paisley Cross on both Saturdays featuring local talent from 1pm – 5pm. The Spree for All Fringe is sponsored by Paisley First, the non profit organisation set up to deliver a Business Improvement District in Paisley Town Centre. 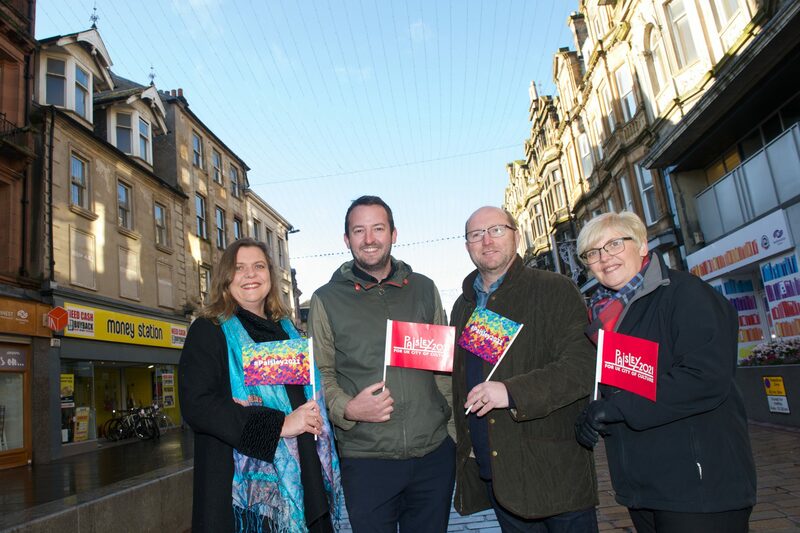 Chairman Ian Henderson said: “Paisley has a vibrant cultural scene and we are delighted to support Spree for All in their efforts to take The Spree to venues across the town centre. For tickets and further information on the Spree main festival, go to http://www.thespree.co.uk/ or call the Box Office on 0300 300 120. Paisley Community Trust, a Registered Scottish Charitable Incorporated Organisation, have partnered with Paisley Development Trust to announce plans to include a new memorial garden on the proposed site for PCT’s Performing Arts and Film Theatre. The memorial garden will be dedicated to the 71 victims and their families of the 1929 Glen Cinema disaster in Paisley. Following on from last week’s news that Paisley Community Trust’s preferred site for its proposed new Performing Arts Venue was the former Arnott’s car park, Paisley Community Trust wished to reveal some additional information on its intentions to transform the site into a new Cultural & Creative quarter for the town. 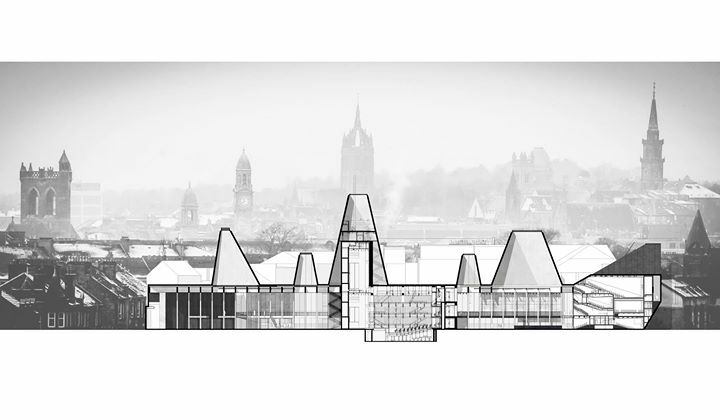 As part of the extensive planning and designing undertaken by award winning Architects Stallan Brand, PCT wanted to ensure that Paisley’s history and heritage in film was remembered and included in the new transformational plans. On the 31st December 1929, Paisley families were hit with tragedy when 71 lives, mostly children, were lost in the Glen Cinema Disaster. During a children’s matinee, a freshly shown film reel was put back in its metal canister, in the spool room, where it began to issue thick black smoke. There was no fire. The smoke filled the auditorium containing approximately one thousand children at the time. As panic set in, children fled the building to safety. However, the escape door to Dyers Wynd was padlocked and 71 children sadly died in the crush. It was the worst cinema disaster in British history. 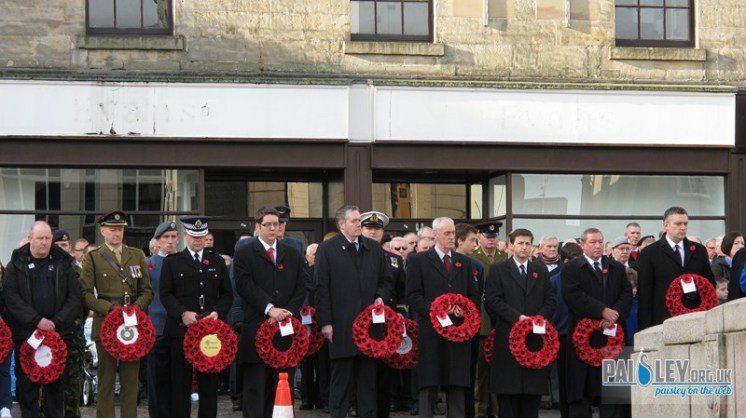 Paisley Development Trust, the organisation behind several prominent regeneration projects in Paisley, including the successful transformation of The Russell Institute Building, hold an annual memorial each year at The Cenotaph, Paisley Cross to remember the dead of the Glen Cinema Disaster. Whilst the Cenotaph was created to remember the town’s war dead, both Trusts have partnered to create something more fitting and significant in the town. It is also intended that the new memorial garden will feature a commissioned sculptural statue to embody the innocence of children and the hope and inspiration that the arts and film can provide to their futures. Once built, the annual Hogmanay Memorial will take place at this new location. Paisley Community Trust will unveil its full plans to the public from 12pm on Friday 29th September until 5pm on Saturday 30th September at the Piazza Paisley. All are welcome to come along to the Piazza to review the plans and meet with the team behind the project. Paisley Pattern conquers world…then is launched into space! The Paisley Pattern has already carried the name of its home town around the globe – now it’s going out of this world. Andy Campbell takes us through his experience of the Falcon SpaceX Launch the other night. Captain Gene Cernan speaks to the audience at Paisley Arts Centre live from Houston, Texas after the showing of The Last Man on the Moon in the venue. The questions are hosted by Astronaut Michael Foale and ISSET the evening is arranged by Paisley Community Trust.